Camille Jasensky is making a name for herself in both the opera and musical theater worlds, and is praised for her “clear soprano voice and vivacious stage personality” (Greg Carpenter, General Director of Opera Colorado). Ms. Jasensky made her debut performing with Opera Colorado as Papagena in The Magic Flute in 2015. Shortly after, she performed the role of Rapunzel in Opera Colorado’s production of Into the Woods. Described as a “pure joy” and “delightful” (Boulder Daily Camera), Ms. Jasensky portrayed the role of Johanna in Sweeney Todd with Townsend Opera and Fresno Grand Opera in 2016. A native of Tucson, Arizona, Ms. Jasensky earned her bachelor’s degree at University of Denver’s Lamont School of Music. She is currently a second year master’s student at Rice University’s Shepherd School of Music, under the direction of Dr. Robin Rice. 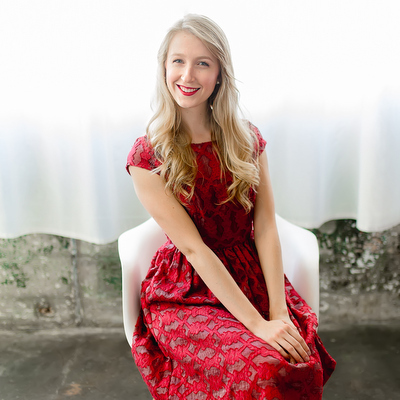 During her first year at Rice, she portrayed the role of Beth in Mark Adamo’s Little Women, performed in the graduate scenes program as Dalinda in Handel’s Ariodante, completed her first master’s recital, and studied abroad in Florence, Italy. In addition, Ms. Jasenky has further trained at Leipzig University, the International Vocal Arts Institute in New York City, and CoOPERAtive, an intensive training program for singers in Princeton, New Jersey.